Our exquisitely designed range of Carb and Choke Cleaner is fabricated using the finest quality raw material. Silkot CB-20 is specially formulated to get relief and time saving for cleaning carburettor and chokes. Duzzit 90 Carburetor - Choke Cleaner & De-greaser is a fast-acting cleaner that dissolves carburetor deposits such as sludge, gum and varnish. 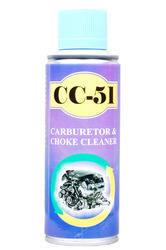 This Choke Injector Cleaner spray, specially formulated using solvent, quickly removes deposits from both inside and outside a carburetor to improve engine performance and fuel economy. Available with us is an optimum quality range of Carb & Choke Cleaners, which is suitable for increasing gas mileage. This effective cleaner reduces the power loss caused by spark plug fouling by eliminating engine hesitation and rough idling. 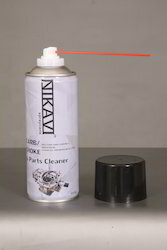 Used to clean carburetor from gums, resins & carbon deposits. Excellent cleaner for carburetor choke and fuel lines. We are reckoned entity of this domain engaged in offering an enhanced quality Choke and Carb Cleaner Spray.